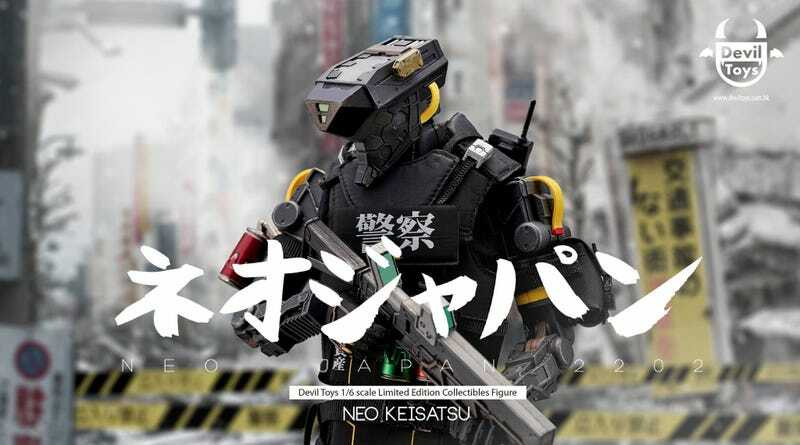 Here is something very cool: Johnson Ting, an artist we featured on Fine Art a few years back, has had a character from his personal project Neo Japan 2022 made into a big, detailed action figure. It’s by Devil Toys, and will be out in Q1 2018, selling for around $180. You can see more of Johnson’s work at his ArtStation page.